The credit union offers many varied types of loans that are available to members. Each type may carry a different interest rate based on your credit score. The money being lent to members belongs to the savers, so therefore, we are cautious that each borrower has the ability to repay. We also look at how you have handled your lending transactions with other financial institutions and businesses. At times you may be applying for a certain kind of loan and one of our loan officers might suggest a different kind of loan. This is because we try to look at the "BIG" picture of your financial condition, not just what you need today. Please allow us to help you review your finances in detail. We do require verification of income for our auditors and examiners, so please do not feel we are picking on you when we request this information. We have a full array of lending products and we want to be your lender. Your credit union makes the process easy with great rates, a variety of terms, and less fees than other financial institutions. We can help you understand the options that are available and what can work best for you. Click to check out our current rates. Are you looking to purchase a used car? PFCU has partnered with Enterprise Car Sales to help our members find a great used car, at a great price. Enterprise Car Sales provides a free CARFAX Report, 12 Month/12,000 mile limited powertrain warranty, 7-day buy back agreement, and 12 months of roadside assistance. Enterprise Cars Sales hand-selects great cars that are backed by one of the industry's best used car warranties. Also, cars sold by Enterprise have low miles and are usually from a select national fleet of vehicles. For more information or to view Enterprise's online inventory, please see the link below. If your credit score is "C" you have the ability after making 12 monthly payments on time to re-apply to change your loan rate if your score has improved. If the score is a "D" or "E" at least 24 monthly payments must be made on time and your credit score has improved to a higher score before re-applying. 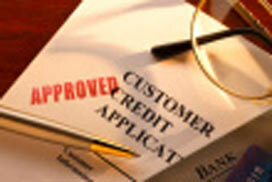 If there is discrepancy on your credit report, you have 90 days to improve your score and re-apply.